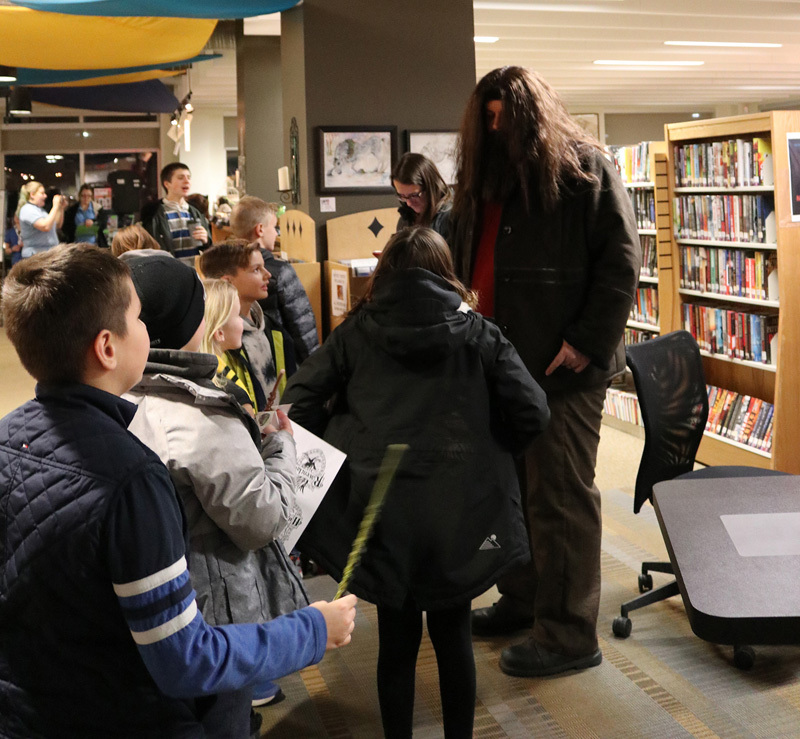 Local Harry Potter lovers showed their support of the Chestermere Public Library’s fourth annual Harry Potter Book Night in overwhelming numbers on Feb. 7. 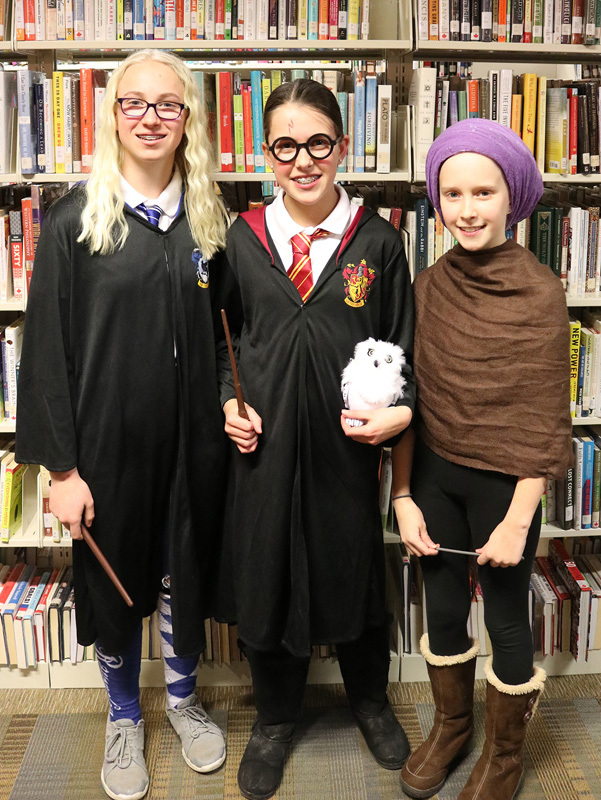 For Chestermere Public Library Assistant Director Cathy Burness, a highlight of the Harry Potter Book Night was seeing all the repeat families come out. “Some of their kids are a foot taller than the first time I saw them here,” she said. 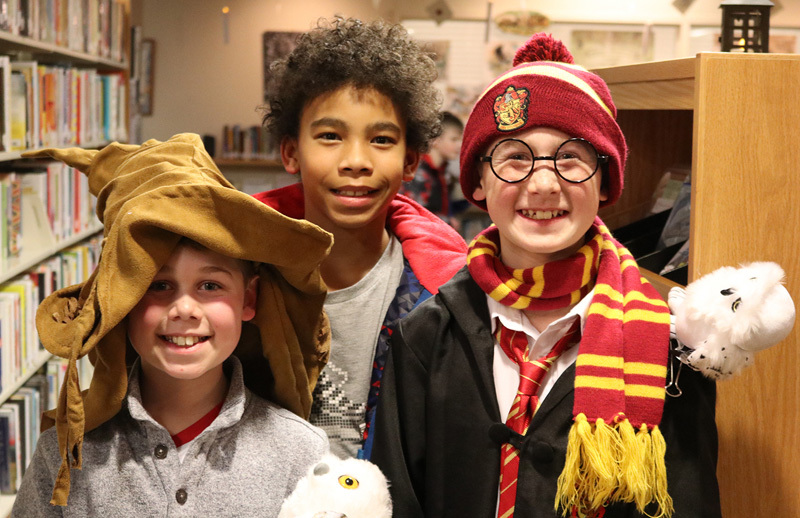 Throughout the evening’s activities, Harry Potter enthusiasts were able to show off their best costume, play trivia games, make crafts, and participate in a scavenger hunt. With having over 141 people attend Harry Potter Book Night, the library is planning on changing a few things to next year to make the event even better. “We thought we had prepared very well. I had binders prepared for every station, we had the crafts all organized,” Burness said. Next year, Burness is planning to have more activity stations spread out throughout the library, and possibly begin the evening earlier in order for the little Harry Potter lovers to make it before bed time. “If people trickled in slower, I don’t see that as an issue,” she said. The trivia game and prize wheel were a real hit throughout the evening, however, people were lined up for quite some time waiting for a turn. “Overall people were happy to be here, they were really looking at all the little potions and posters that were about Hogwarts, Harry Potter and magic. “Hagrid was a hit. We were without a giant, and we just stumbled into our giant Hagrid whose name was Paul. He was amazing, and totally in character,” Burness said.